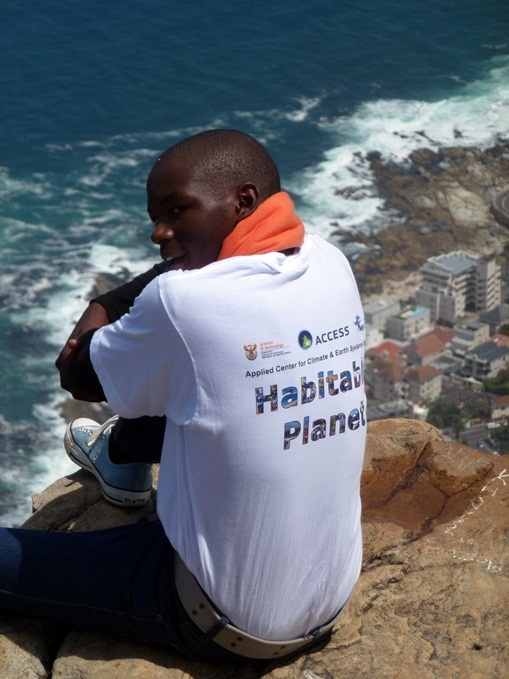 The ACCESS Habitable Planet Undergraduate Workshop Programme (HPW) is a series of ten day student workshops which aim to introduce third and fourth year undergraduates to the emerging discipline of the Earth System Sciences. 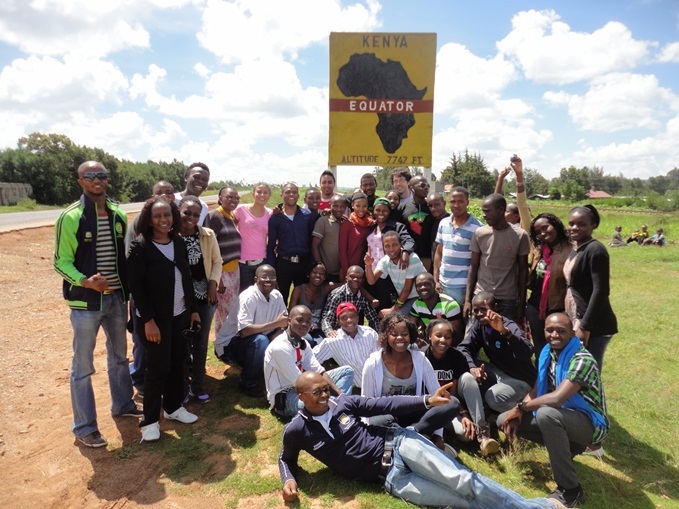 The course is run all around Southern Africa four times a year and has at its heart the concept of an African perspective on climate change. 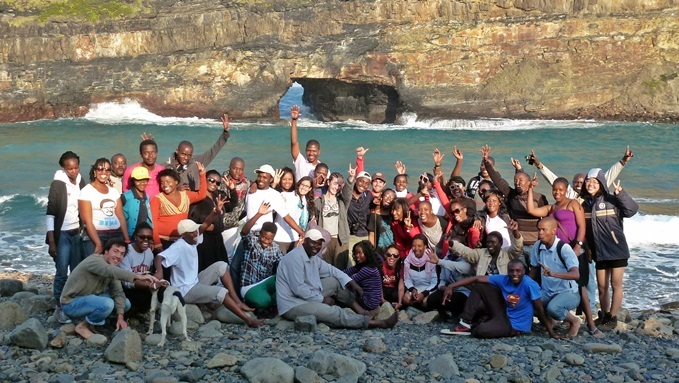 With this novel perspective we hope to inspire more students to take up careers in science in one of the most scientifically interesting regions of the globe: Southern Africa. Lectures form a key part of the workshop and in these we aim to explain why Planet Earth is habitable. To do this we start with the most simple of models: the Earth as a solid rock orbiting the sun. Using this model, we calculate a surface temperature of the planet to be an icy -20° C, which is clearly not habitable. To try and explain why the planet is habitable, we have to increase the intricacy of this model, to make this a controlled experiment we do so in such a way as to only change one variable at a time and observe the result. Thus by stepwise adding an atmosphere with clouds and oceans that circulates, we can observe that with this purely physical model, we still cannot succeed in explaining why the planet is habitable. To do this we need to introduce biology, evolution, photosynthesis and bio-geochemical cycles. Nor is this a static picture enough to explain the present habitability, and therefore a paleontological perspective is needed. Lastly, in light of the human induced problems we currently find ourselves embroiled with, an understanding of social science and politics is required. In this light, the program will engage students to think across the humanities-science divide; the complexity of the Earth and its components is now the interest of politicians, sociologists, and economists. Only by gaining an appreciation of all of these can we begin to understand why our planet is so special. Our field trips aim to bring this story back to Southern Africa, a truly exceptional region of the globe (as Walter is discovering in the photo above). The field trips aim to complement and support the lectures by both illustrating some of the principles outlined in the lectures and instilling in students a sense of awe and enthusiasm for the amazing country in which they live, as well as a sense of pride in Southern Africa. We want to show that science is exciting and that Southern Africa is in fact an exceptional region on a special planet, at a special time. This is a story that everyone in Southern Africa should know. Alongside the field trips and lectures we have a variety of other events and teaching tools, these include a novel open game called the World Challenge Game, selected popular movies and a careers evening. Not to overlook the importance of the discussions over tea break, as we see in the photo above! With four Habitable Planets Workshops being run every year it’s almost always time to apply for the next one. For more information contact Dr Carl Palmer (cpalmer@access.ac.za) or look up your local student representative on the planeteers NEC (Guide to the Planeteer’s NEC ).